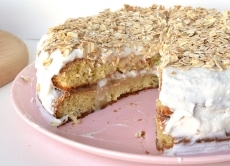 Have you made Banana Cream Cake? 1. Filling: Cook pudding according to pkg. 2. directions using the 1 1/2 cups milk. Remove from heat and cover surface with plastic wrap, to keep a skin from forming. 3. 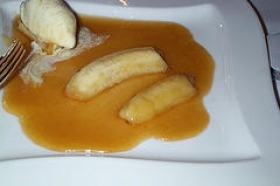 Refrigerate until cool, then stir in bananas. 4. 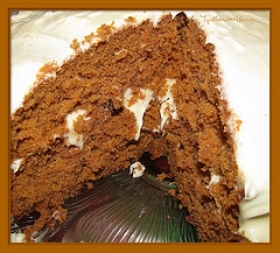 To Assemble: Cut cake in 3 layers, using a long serrated knife. 5. Place 1 layer on a serving plate and spread with about 1 1/2 cups filling. 6. 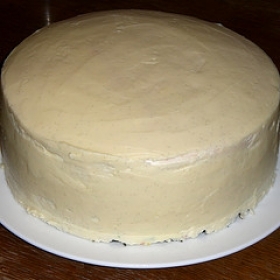 Top with a second layer, spread with remaining filling, then add remaining cake layer. 7. 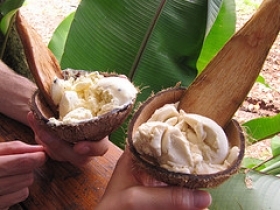 Beat cream and sugar with electric mixture until stiff peaks form when beaters are lifted. 8. 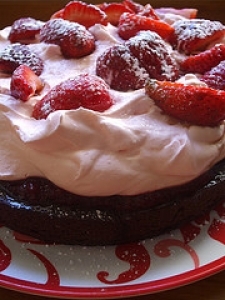 Spead on top and sides of cake. 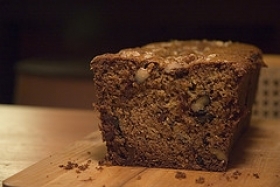 Shorty before serving, slice banana over top of cake and sprinkle with toasted coconut. 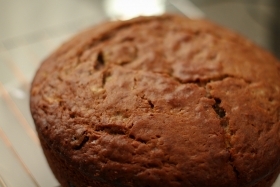 This recipe contains potential food allergens and will effect people with Wheat, Banana, Gluten, Natural Sweeteners, Fructose Malabsorption allergies.